Adobe Illustrator has many powerful tools and unique features for creating high-end graphics. Its brushese are probably the most used one. These brushes can be used to apply different paths and strokes. One of the best parts about Illustrator’s brushes is that they are vectors and can be fully modified to fit all your requirements like changing weight, colors and width. Today we’re showcasing 25 awesome adobe illustrator brushes which are a must-have for almost any creative designer. 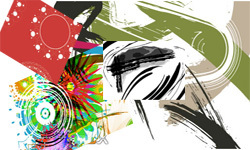 Here are 25 Adobe Illustrator Brushes.